Apple announced it’s new iPad Pro. It has a new full screen, flat edge, round corners, face ID and more. The new iPad Pro looks somewhat like the original iPad, it has a new liquid retina display just like the iPhone XR. 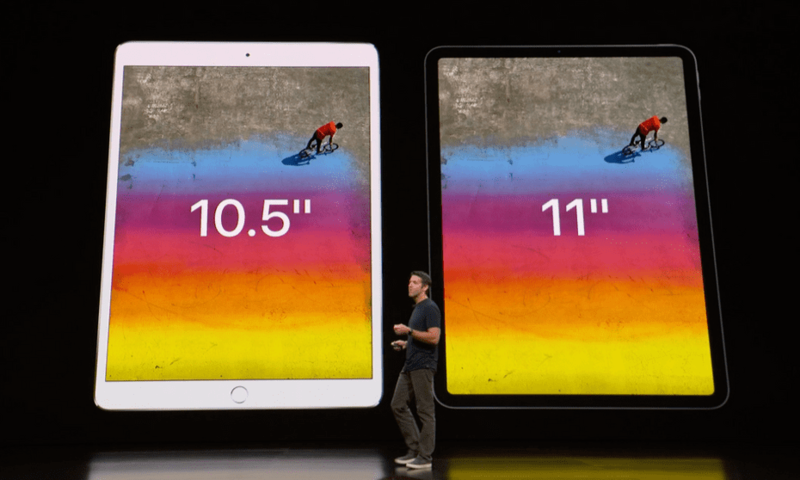 The iPad Pro comes in two new sizes 11 inch and 12.9 inch screens. The iPad pros are thinner, have face ID and like the iPhone X. The iPad pro does not have a notch, the front body still has enough space for the sensors. The iPad pro gets all the features like animoji, memoji, apple pay. It uses the same chip as the iPhone XS , A12X bionic chip with 10 billion transistors. There’s also a new Apple Pencil, which connects to the side of the iPad Pro with a magnet, charges wirelessly from it, and pairs automatically. iPad Pros have USB-C replacing the lightning connector. It can handle up to 1TB in storage capacity.